Great Deal as the cheapest i've been able to find elsewhere is £24.99. Enhance the look of your garden this summer with our brilliant metal fire pit available to buy online today. The classically designed fire pit is the ideal way to provide heat and light to your outdoor summer parties once the sun goes down. 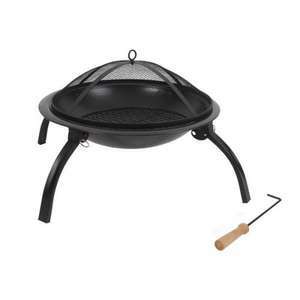 Easy to assemble, this fire pit also features a grill rack allowing you to use it as a mini barbeque for smaller gatherings. The pit comes complete with a folding bag to allow for easy storage. Thanks reserved one in Greenford.